Eyelash extensions are a great way to enhance your eyes and are perfect for everyday wear or for a special occasion. Lashes are made thicker and longer, through professional application of an individual synthetic eyelash directly on to your own natural eyelash, with a specially formulated bonding agent. Lash extensions take up to 2 hours and are semi-permanent, lasting up to 3-4 weeks from time of application, depending on the cycle of your own lashes. This can be extended to 6-8 weeks, with regular maintenance. Lash Perfect Express Lashes are individual eyelash extensions, which are applied using an express technique. The individual lashes are applied gently on top of the natural lashes and can be applied in as little as 30 - 45 minutes. They last for 2 weeks and then must be professionally removed. These are ideal for those who are short for time, would like extensions for a special occasion, holiday or looking for a cheaper alternative to semi-permanent eyelash extensions. This is a natural lash enhancement treatment that will give the appearance of thick, long lashes that can last up to 6 - 8 weeks. This is ideal if you’re looking for beautiful lashes, without the application of eyelash extensions. The lifting effect naturally enhances the natural thickness of your lashes giving a more defined look, and eyelash tinting will make your newly lifted lashes even more visible. The lifting treatment is available without the tint, if preferred. A patch test for the lift and tint is required at least 24 hours in advance of the treatment. Do you have dry, peeling, dull or wrinkled lips? This mask is specially formulated to have the perfect blend of collagen, amino acids and natural fruit extracts, it softens, moistens and repairs your lips to give them their natural elasticity back. Used by celebrities such as Jessica Alba, Lady Gaga and the Kardashians. It's a quick and natural way to get beautiful soft lips and the perfect addition to your lash treatment! Eyelash tinting involves carefully dying the lashes with a safe natural dye, to give them a natural darker appearance. Ideal for those who do not want to wear mascara or want to add depth to their eyelash extensions. 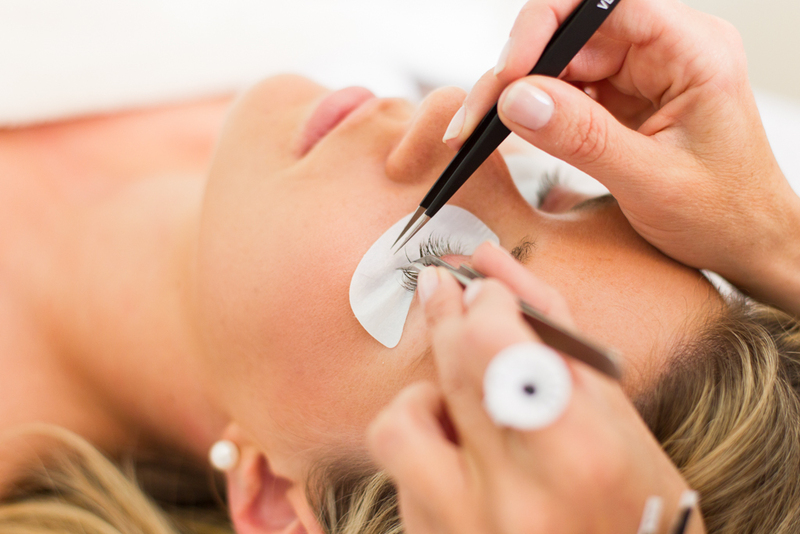 The treatment takes approximately 15 minutes and if you are having both, is done prior to eyelash extensions. Brow tinting is a very quick procedure, using the same the natural dye to enhance and frame the eyes. Threading is an ancient technique of hair removal, which originates from the Central Asia and India. It is a very precise form of hair removal, making it perfect for shaping eyebrows and can also be used on other areas of the face, including upper lip, chin and sideburns. An antibacterial thread is twisted by the therapist and as it glides over the skin, the hair is removed. This method allows more than one hair to be removed at a time and is generally preferred, as it is more precise and less painful than waxing. Some clients can experience some redness after the treatment but this usually subsides after approximately 30 minutes. To reduce this, an organic soothing cream is applied. Threading can also be carried out, if you have sensitive skin. NOTE: Eyelash extensions, Lash Lift and tinting require a patch test 24-48 hours prior to appointment. Whilst eyelash treatments are suitable for contact lens wearers, contact lenses must be removed during the treatments.